I can provide you with a translation of your Medical Report in Spanish, French and English. If required I can provide you with a certified translation. Send me now your medical certificate to info@cltranslations.co.uk for a free quote. 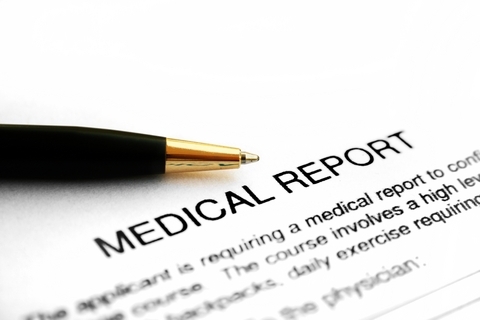 When do you need a Medical Report translation? It is becoming increasingly popular for medical reports to be requested when planning to travel, applying for a job, or making financial arrangements. In Scotland, England and Wales, a medical report can be commissioned for a range of reasons. For example, an insurance company may request one if you are applying for private, life or travel insurance. Similarly, banks may commission a report if you are applying for a mortgage or loan, prospective employers may do so if you are applying for a job. The information requested can be about both physical and mental health. Northern Ireland has different legislation. If your medical report was issued in Spain you will need to get your medical report translated from Spanish to English. If your report was issued in France you will need to get your medical report translated from French to English. The interested party, for example your insurance company, cannot apply for a medical report about you without your consent. Under the Access to Medical Reports Act 1988, the company must ask your permission to approach your doctor for a report, and give you statutory information regarding your rights under the Act. They will ask you to sign a document agreeing to the report and stating whether you wish to see the report before the company receives it. If you say that you do want to see the report first, the company must tell your doctor this at the time of application. The doctor they will contact may be anyone involved in your clinical care, such as a GP or a specialist who has provided care for you. •	Translating articles on Medical Research from English to Spanish, mainly articles from Autism Research Institute. •	Communicating with doctors and international organizations that help autistic patients on AVA’s behalf by email and phone. 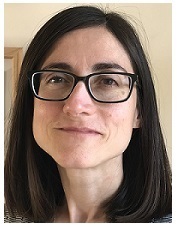 •	Interpreting between American speaking doctors and Spanish Autistic children and parents in Barcelona, Spain. Stephen Allot is the General Manager of Specialisterne Scotland. Specialisterne UK trains and employs individuals with autism as consultants in IT and other sectors with technically oriented tasks and jobs, such as data management, software testing and quality control. Dr Luc Montagnier is a French virologist who worked for two renowned French Institutions, the Institut Curie and the Institut Pasteur in Paris. In 2008, he was awarded the Nobel Prize for Physiology and Medicine, for his discovery of HIV. In this video he talks about the infectious origin of autism. Do you need a translation of your medical report? Send your documents to me now at info@cltranslations.co.uk You’ll get a free quote and I will get back to you in less than 24h.